• DO turn the power switch to “Off” before taking any action, should your disposer suddenly malfunction. • DON’T use your fingers to pull out clogged matter; use pliers or tongs. 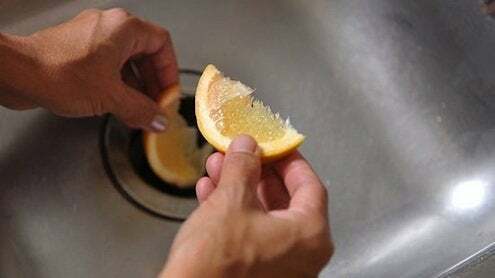 • DO get rid of bad smells by pouring warm (not hot) water into your garbage disposal as it grinds cut-up lemons. • DON’T pour hot water into a clogged unit; melted fats will make the clogging even worse. 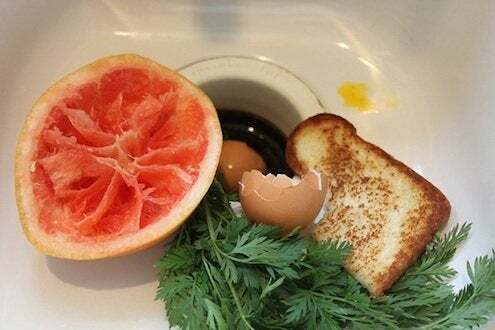 • DO clean your garbage disposal by filling it with ice cubes and a cup of rock salt, then running it a few seconds. Or consider making vinegar ice cubes to use weekly. • DON’T use bleach or commercial drain cleaner to try unclogging your disposer. • DO try untangling any fibers wrapped around your disposer blade by using the wrench that came with your unit. 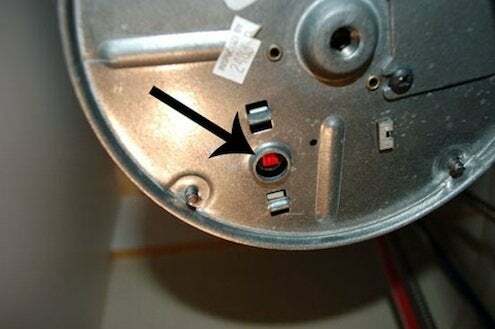 With that tool, you simply turn the nut at the base of the unit, then press the small red reset button in the center and flip the switch to restart.